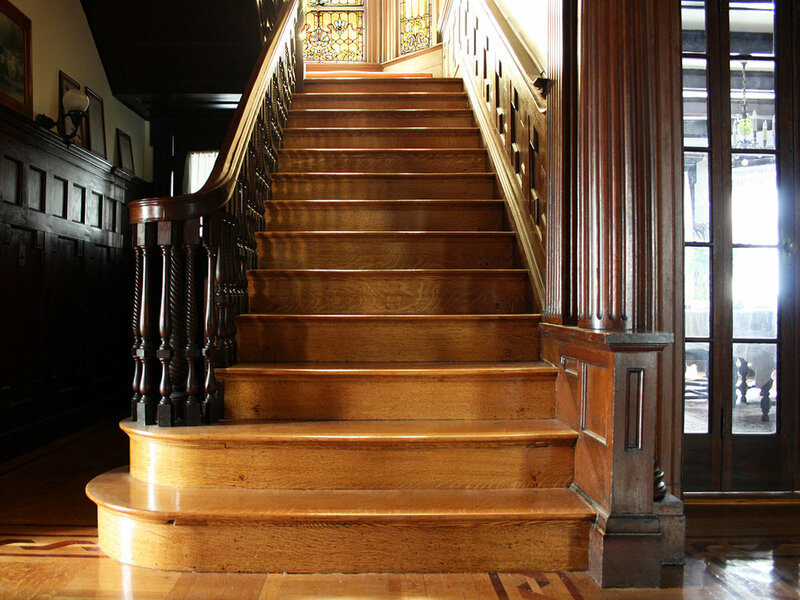 Our skilled carpenters can restore or rebuild any wood elements or finishes, and can build all finish carpentry such as paneling, wainscot, decorative ceiling joists, built-in bookcases, inglenooks, stair work, hand railings, mantles, moldings, and parquet and plank flooring. We are skilled in cleaning and refinishing wood surfaces and use traditional finishes such as dyes, shellacs and paste waxes. At Zakalak Restoration, maintaining a library of wood knives and bits for shaping traditional moldings is integral to bringing wood back to life.